I started studying Chinese when I first arrived in China, in 2005. It’s hard to calculate how much time I’ve spent learning the language and advancing my Chinese, but it’s easily thousands of hours. If I were to start learning a new language now, I’m certain that I would do things differently: not just how I do, but what I do. 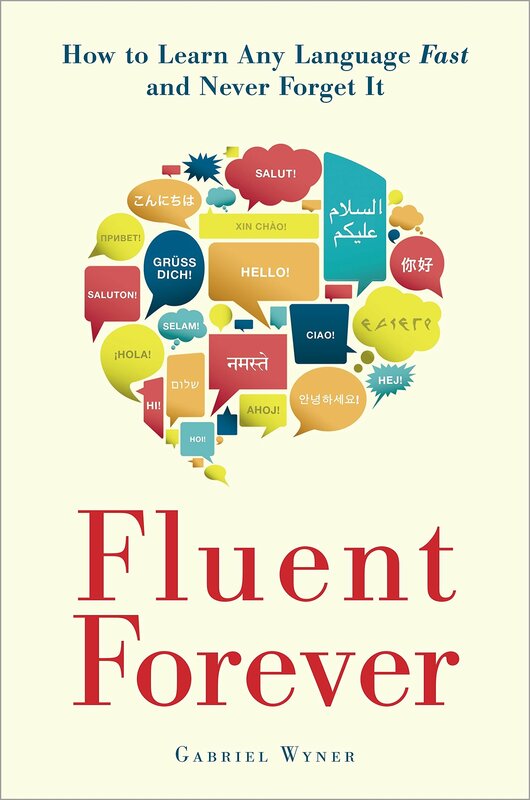 On this ten plus year language learning journey I’ve been on, this book, Fluent Forever, has been one of the biggest “Aha” moments. Starting with pronunciation, you’ll learn how to rewire your ears and turn foreign sounds into familiar sounds. You’ll retrain your tongue to produce those sounds accurately, using tricks from opera singers and actors. Next, you’ll begin to tackle words, and connect sounds and spellings to imagery, rather than translations, which will enable you to think in a foreign language. And with the help of sophisticated spaced-repetition techniques, you’ll be able to memorize hundreds of words a month in minutes every day. Soon, you’ll gain the ability to learn grammar and more difficult abstract words–without the tedious drills and exercises of language classes and grammar books. Use SRS software: Choose whichever one suits you. Duolingo, Memrise, Anki, Cloze Master. All of these are vastly more effective than traditional flashcards because the cards automatically sort themselves based on your performance, displaying precisely the cards that you need to be seeing. Add images and sounds to your flashcards: by including these, you’re creating a deeper, multi sensory memory for a word or sentence. Add a personal connection for best effect. For example, include reference to a person, place, or experience that means something to you on the card, which acts as a mnemonic. For adding images to your cards, Google Images is perfect. Choose the wackiest image you can find. We’re good at remembering images that are violent, sexual, funny, or any combination of the three. Seek help from native speakers: you can get far on your own, but eventually you’ll need a native speaker to help identify problems with pronunciation, grammar, or something else. If you aren’t in a geographic place where you can find native speakers, there are websites like iTalki.com which make it easy to locate native speakers of any language to ask questions. Write short articles about your interests: submit them to native speakers that you know, or find someone online, and make flashcards from the corrections that you receive. This way, you’ll fill in any vocabulary or grammar that you’re missing. Repeat this process to improve. Lang-8.com is a great site to use for this. Read source material daily and mine for words and sentences: I wrote about this in the recent Cloze Sentences post, but the idea is to commit to reading at least one article in your target language daily. Make flashcards from sentences or words which are problematic for you to commit them to memory. I’ve come to deeply enjoy this process not just for the ability to improve skills, but because editorials written in another language often present a different perspective from your own language and culture. These are just the tip of the iceberg, but they will give you an idea of the type of content in Fluent Forever. Each of the hundred billion neurons in our brains are, on average, connected to seven thousand other neurons, in a dense web of more than 150,000 kilometers of nerve fibers. These interconnected webs are intricately involved in our memories, which is why scientists could never find the mazes in their rats. Each rat’s maze was spread throughout its brain. Whenever the scientists cut out a piece, they damaged only a small portion of the involved connections… These patterns of connections form in an elegantly simple, mechanical process: neurons that fire together wire together. Known as Hebb’s Law, this principle helps explain how we remember anything. Your brain is a sophisticated filter, which makes irrelevant information forgettable and meaningful information memorable. Foreign words tend to fall into the “forgettable” category, because they sound odd, they don’t seem particularly meaningful, and they don’t have any connection to your own life experiences. You can get around this filter and make foreign words memorable by doing three things: Learn the sound system of your language. Bind those sounds to images. Bind those images to your past experiences. 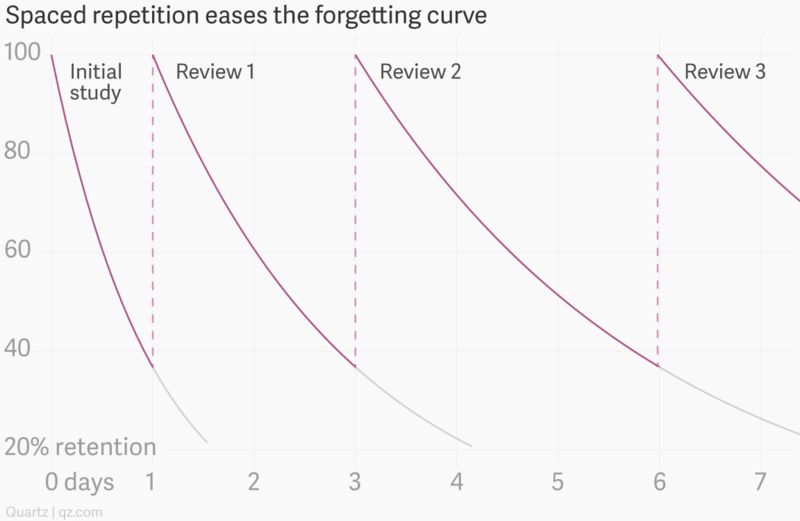 To maximize efficiency, spend most of your time recalling rather than reviewing… You’ll accomplish this goal by creating flash cards that test your ability to recall a given word, pronunciation, or grammatical construction. Coupled with images and personal connections, these cards will form the foundation of a powerful memorization system. If you’ve learned a so-called mission critical language—Arabic, Chinese, Dari, Korean, Pashto, Persian, Russian, or Urdu—then the CIA will eagerly snap you up and hand you $35,000 per language as a hiring bonus on your first day, not to mention additional monthly “language maintenance” bonuses. Every time I’ve been to an immersion program at Middlebury College, the CIA recruiters are always there in their crisp suits and snappy haircuts, putting on recruitment seminars. They’re desperate for multilingual people… Even if you don’t change careers, you’ve potentially increased your salary by 5–20 percent. Employers are willing to pay more for bilingual employees, even when those employees never need their extra languages to do their work. Employers see language skills as a sign of intelligence and competence, and that puts you—their newly bilingual employee—in higher demand. You don’t just seem smarter when you know another language; you become smarter. By learning a language, you permanently change structures in your brain. Bilingual brains are measurably different than monolingual brains—certain brain regions are more developed—and recent studies show that you don’t need to be bilingual from birth to show these telltale signs of bilingualism. You just need to learn a language and maintain it; the better you learn it and the longer you maintain it, the more your brain will change. Fluent Forever is a deep dive into advanced language learning. I wouldn’t recommend it for a casual learner, but if you are serious about committing to improving your skills in a language, I strongly recommend it. It was this book which got me started down the Anki rabbit hole, which goes very deep. And that’s really what this book is about: going deep into the science of language and memory to build a workflow that commits language to permanent memory.